Getting ready to grill for a gang of your loved ones? Don’t ruin your expensive goods with rookie mistakes. Here’s everything you need to know for the perfect party. 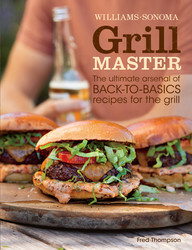 From Williams-Sonoma Grill Master. 1. Make sure you understand the difference between direct-heat and indirect-heat grilling, and when you should use each method. 2. Always let the grill preheat fully. If you put the food on too soon, it won’t cook right. 3. Keep the grill grate clean. Otherwise, the food will stick and taste like last week’s grilled supper. 4. Oil the grill grate. The oil prevents the food from sticking and helps transfer the heat more quickly. And except for fattier foods, you should oil the food, too. 6. Leave food directly over a hot fire long enough for the surface to caramelize, but not so long that it blackens, which will heighten its flavor. 7. Turn foods only once, if possible. They will cook more evenly and are less likely to buckle and break. 8. Use a thermometer to gauge both the grill temperature and the internal food temperature of larger cuts of meat. 9. Let meats and poultry rest before serving, to allow their juices to redistribute evenly, ensuring juiciness and better flavor. 10. Follow the maintenance schedule detailed in the grill’s manual. It will make your life easier and your grill’s life longer. 1. Never rush. Grilling is a little Zen-like. When you rush, you make mistakes. 2. Don’t skimp on the ingredients. Grilling highlights the natural flavors of foods, and cheap food will taste like it. 3. Don’t cut into meat or poultry to check for doneness. All the delicious juices will run right out. Instead, spring for an instant-read thermometer or master the touch test. 4. 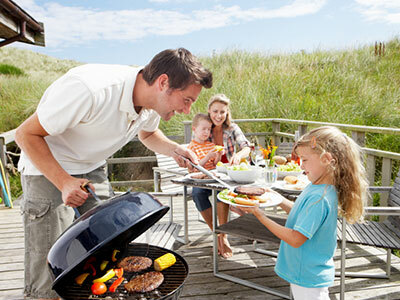 Don’t get caught without an extra bag of charcoal or an extra propane tank. Almost nothing is worse than running out of fuel with a half-cooked bird on the grate. 5. Avoid briquettes infused with starter fluid. The fluid can impart an unpleasant taste to whatever you are grilling. 7. Once your coals are lit, don’t put the hot chimney starter on or near anything that’s flammable, like your lawn. 8. It’s always fun to visit with guests, but not when they are far away from the grill. Don’t get distracted, or you might end up with cinders instead of kebabs. 9. When cooking directly over the fire, never use a basting sauce that contains sugar until the last 10 minutes of grilling. Basting earlier will result in crusty, singed food that you cannot resurrect. 10. Loose clothes and swinging hair have no place around an open fire. Tuck in your shirt, tie back your hair if it’s long, and forget the muumuu.